In November we discussed the impending crisis at Carillion, the large-scale construction business that has become intertwined with the U.K.’s economic future, by way of projects like HS2 – the large scale infrastructure project that is designed to herald a new era for the different parts of the U.K. by linking them together by high-speed rail networks. In this post, we will get an update on proceedings in this particular case because, as predicted, the situation is worsening by the day and the realisation that Carillion could collapse moves closer and closer as each stage of the rescue-process fails. Whilst the same points will be repeated i.e. the danger of such a collapse for an intertwined company, a new emphasis will be placed upon a potential ‘bail-out culture’ that may emerge as the U.K. heads into unchartered and particularly choppy waters post-Brexit. 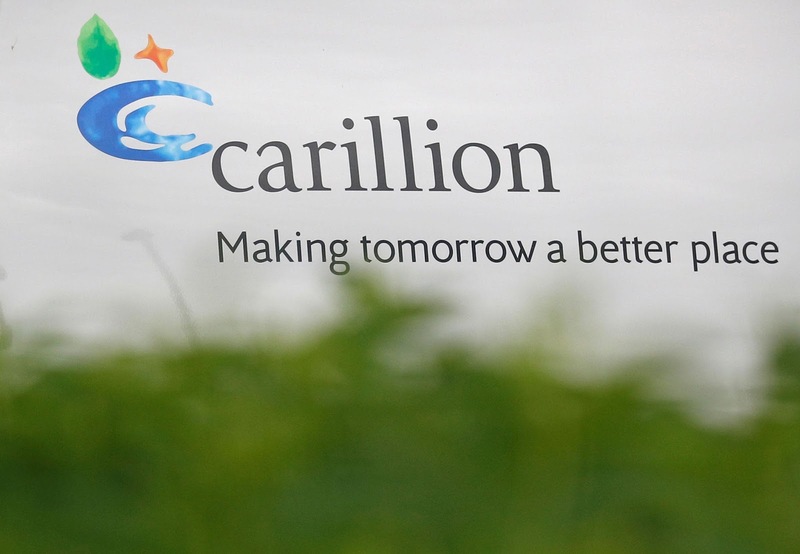 At the moment, almost 200 creditors are engaged in negotiations regarding Carillion’s future, with analysts suggesting that the U.K.’s second-largest construction firm has nearly £1.5 billion’s worth of debt, as opposed to market capitalisation of just £81 million; these stories are beginning to coalesce, with suggestions being that the leading banks are reluctant to continue lending to the embattled firm, and creditors suggesting that a decision, either way, will be made before the end of the month. To compound the company’s problems, it is currently under investigation by the Financial Conduct Authority (FCA) with regards to stock declarations it made last year which, if found guilty, could be the turning point in the firm’s fight for survival – whilst a fine would not damage the company because, as we know, the FCA’s fines are hardly threatening, the reputational damage to a company seeking financial assistance could be critical. For the Government’s part, it is being suggested in the media that the Government has already put plans in place to cushion the blow if the company were to ultimately fail, which is something which is becoming more of a reality by the day, particularly considering the company’s stock value plummeting by almost 90% recently against debts of £1 billion (according to The Guardian) and a pension deficit of near £600 million. However, the actual tone of the Government’s response to the crisis can be read in two ways, with the Cabinet Office’s Parliamentary Secretary stating that ‘we of course make contingency plans for all eventualities… Carillion’s operational performance has continued to be positive [and] the company has kept us informed of the steps it is taking to restructure the business. We remain supportive of their ongoing discussions…’. The two ways in which we can read into statements such as these are either (a) the company is too-big-to-fail, as some analysts have suggested and, therefore, assistance will be provided anyway, or (b), which is almost a given, the Government is hamstrung in this instance because any negative narrative displayed by the Government would be, in all likelihood, an instant deathblow to the embattled company. We have spoken before about the so-called ‘public private partnerships’ (here and here) and, arguably, we are now seeing one of the two natural ‘endpoints’ to that arrangement. Ultimately, the firm appears to be close to approaching the dreaded ‘point of no return’, and if it does collapse the impact will be massive for a number of distinct reasons. Firstly, the firm employs nearly 20,000 people and its pension deficit would have to be, mostly, absorbed by the national fisc, which would be particularly bad timing given the financial no-mans-land the country is seemingly heading to with regards to Brexit. Secondly, for a company to fail that is so intertwined within the country’s infrastructural future would present an incredible situation whereby projects that have been designed with Carillion’s capacity in mind will have to be taken up by other companies. However, perhaps the most crucial impact will be on that aspect that is touted, almost daily, as being the lifeblood of the business world – confidence. 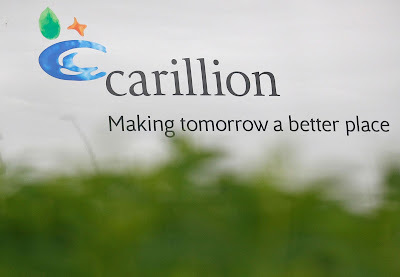 For Carillion to collapse, so close to the Country’s secession from the European Union, could have massive consequences for the economic and political landscape in this country. It is for these reasons that the analysts who have suggested that the company is actually too-big-to-fail will likely end up being proved correct; the intricacies of TBTF is that one is not considered in this category by way of their market capitalisation or anything financial, so to speak, but by how much they are intertwined with the country’s health – Carillion certainly fits that bill. The financial blow would be manageable, but allowing Carillion to fail will send ripples through the business community that may very well turn into waves at a rapid rate – the Government’s hands are, presumably, tied in this regard but, as always, it is the public who will pay the price. As the NHS buckles under the increasing pressure exerted on it in this austerity-driven era, it is likely that money will be diverted to protecting private business; quite the microcosm for the current political climate.